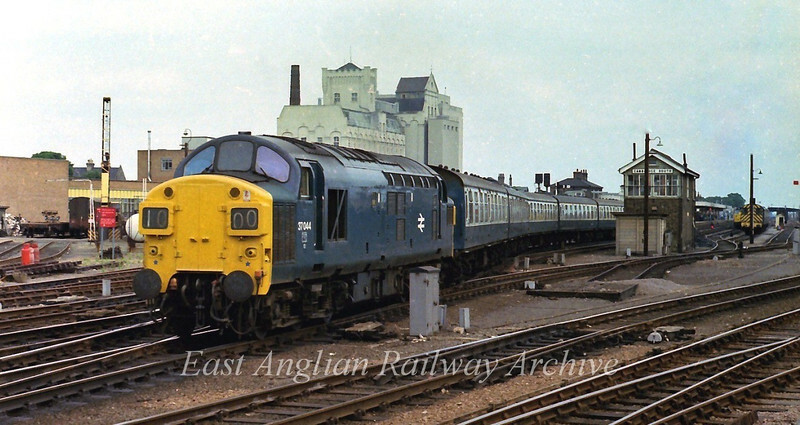 37044 leaves Cambridge with the 1135 to Liverpool Street. 15th July 1978. Viewed from the Cattle Market, a superb location for spotters in the sixties.